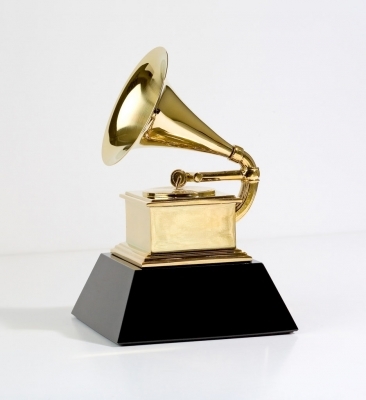 iradiophilly | News - 2013 Grammy Nominees Announced; Kanye West, Jay-Z, Frank Ocean, Black Keys, Mumford and Sons, fun. 2013 Grammy Nominees Announced; Kanye West, Jay-Z, Frank Ocean, Black Keys, Mumford and Sons, fun. The 2013 Grammy Nominees were announced Wednesday night at the 5th annual primetime television special for the first time from the Bridgestone Area in Nashville, TN aka Music City. The night was hosted by Taylor Swift and LL Cool J. The nominations are determined by submissions from around the music industry from members of The National Academy of Recording Arts and Sciences (NARAS). Those members will eventually vote for the winners presented at the 55th Grammy Awards on February 10th. Leading the nominees this year were Kanye West, Jay-Z, Frank Ocean, Dan Auerbach of The Black Keys, Mumford & Sons and fun. with 6 each. The Black Keys, Chick Corea and Miguel each received five nods, and producer Jeff Bhasker, mastering engineer Bob Ludwig and Nas are each up for four awards. Dan Auerbach's sixth nomination comes as Producer of the Year along with the five with The Black Keys. Gramophone trophies will be handed out in 81 categories this year. Over 17,000 submissions were received during the nomination process. Some Philadelphia related artists who are nominated this year include: The Roots (Best Rap Album), Diplo (Producer of the Year), Halestorm (Best Hard Rock/Metal Performance).